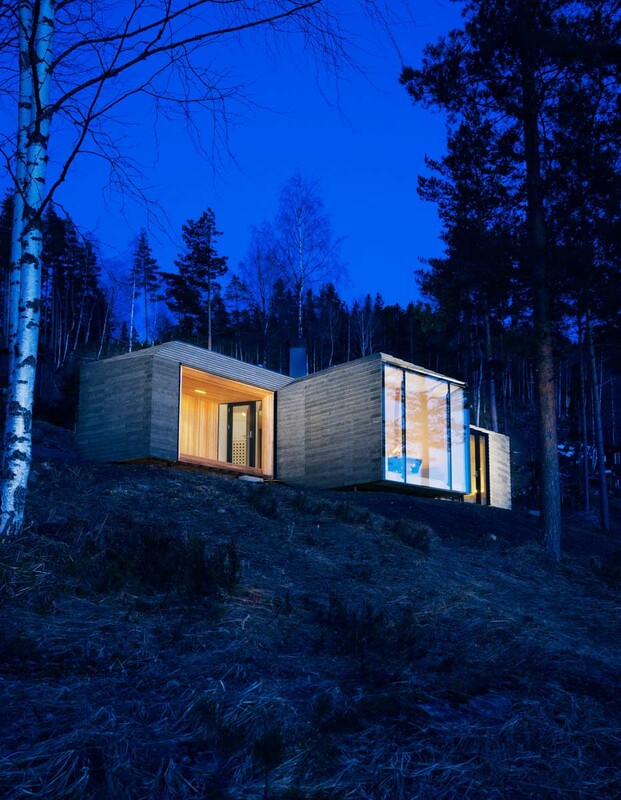 Norderhov Cabin in Norway by AtelierOslo | Yellowtrace. 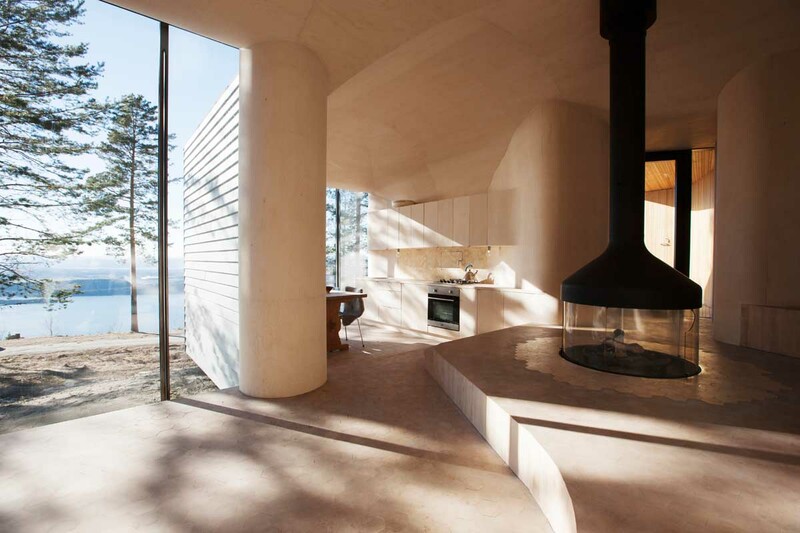 Commissioned as a weekend house for a couple based in Oslo, AtelierOslo have designed a cabin located in the Krokskogen forest, on a steep slope overlooking the Steinsfjorden. 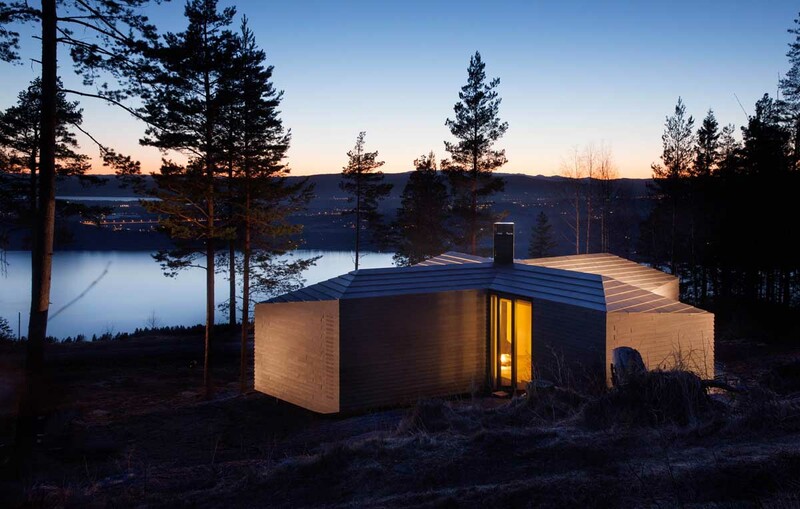 With the site highly exposed to the elements, the cabin is shaped to create several outdoors spaces that provide shelter from the wind and sun at different times of day. 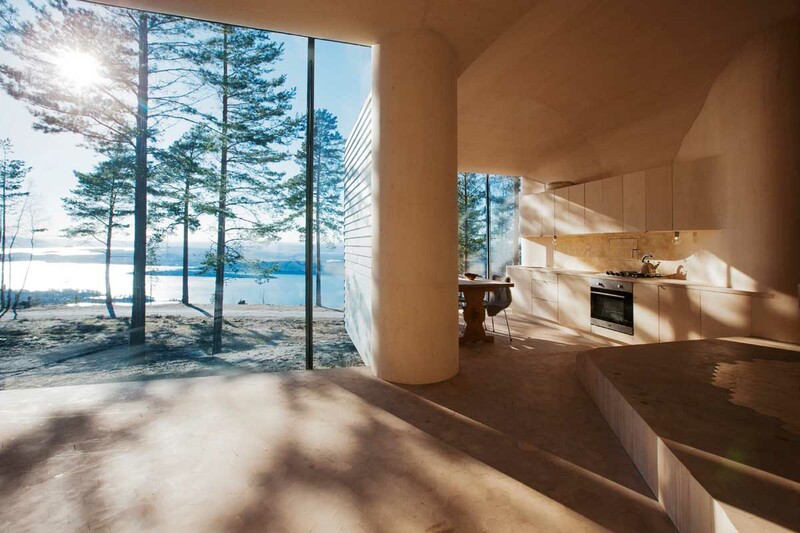 The lodge is made up of mainly prefabricated elements and is assembled by skilled craftsmen as a large and complex puzzle. 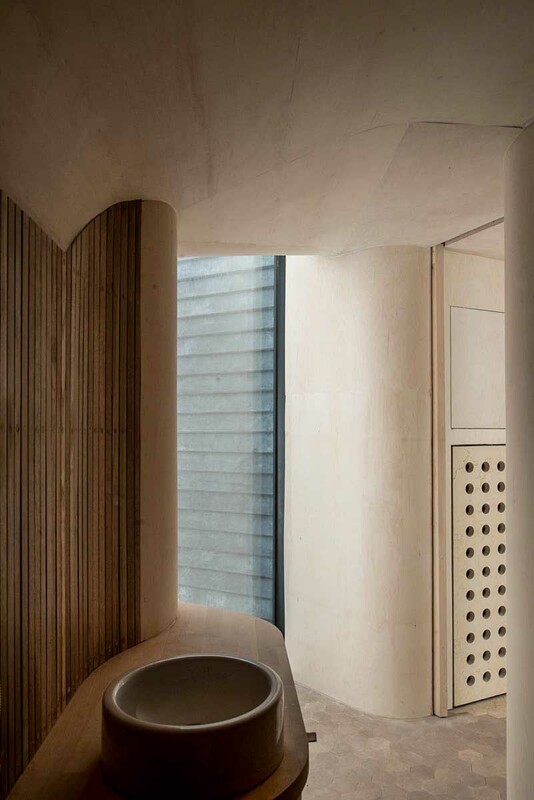 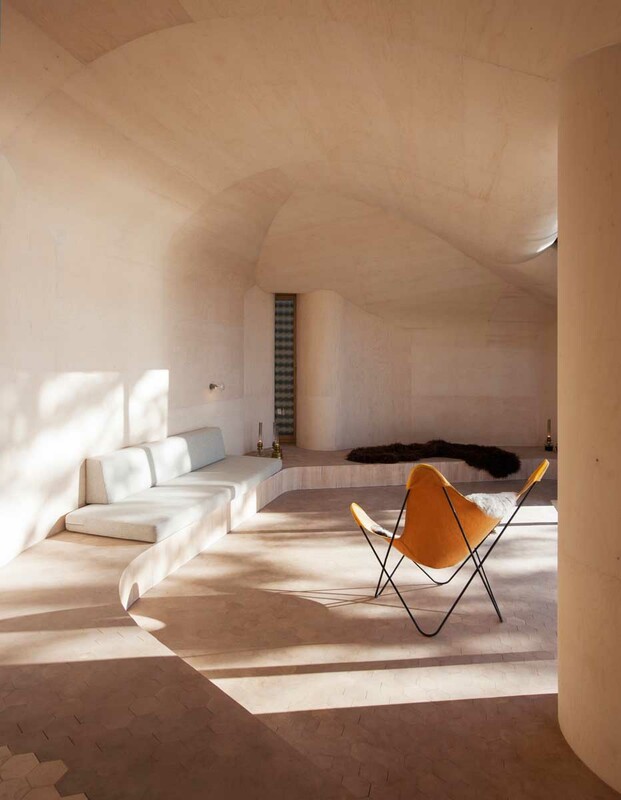 The interior is a continuous space finished in curved 4mm thick birch plywood, with the walls and the ceilings forming a single seamless surface. 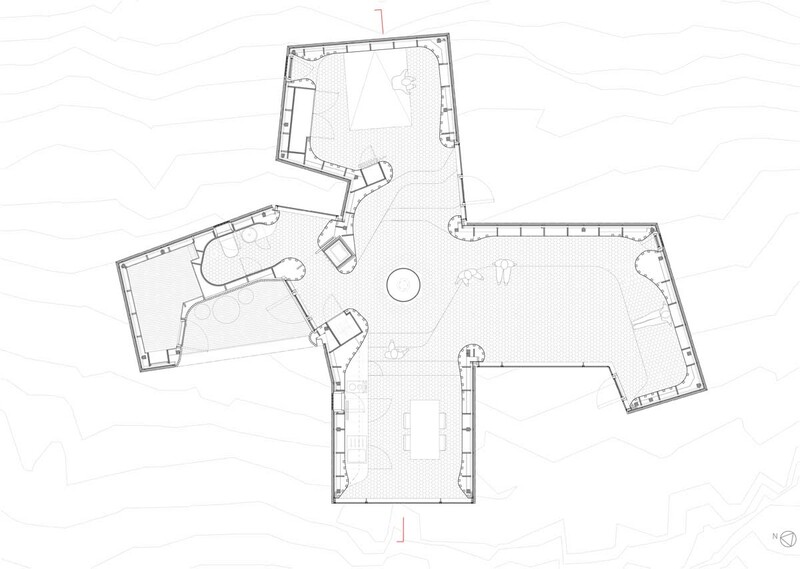 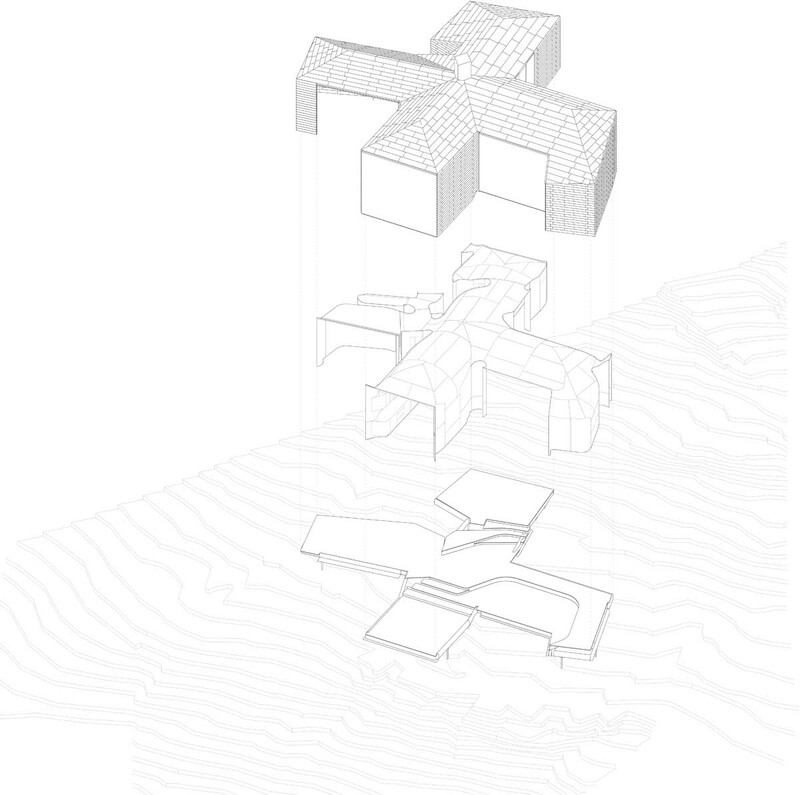 The zones within the cabin are emphasised by the floor levels that follow the contours of the sloping terrain, dividing the cabin into four main levels. 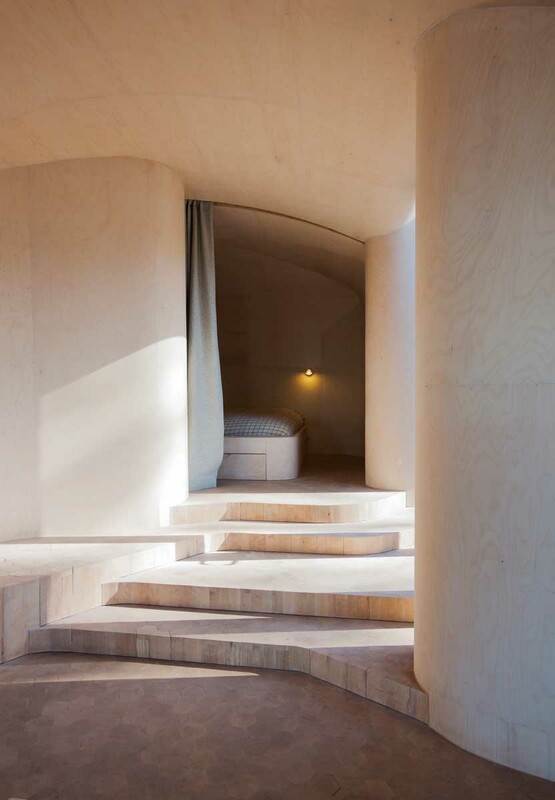 Generously proportioned steps mark the transition between the levels, creating additional areas for sitting and lying down. 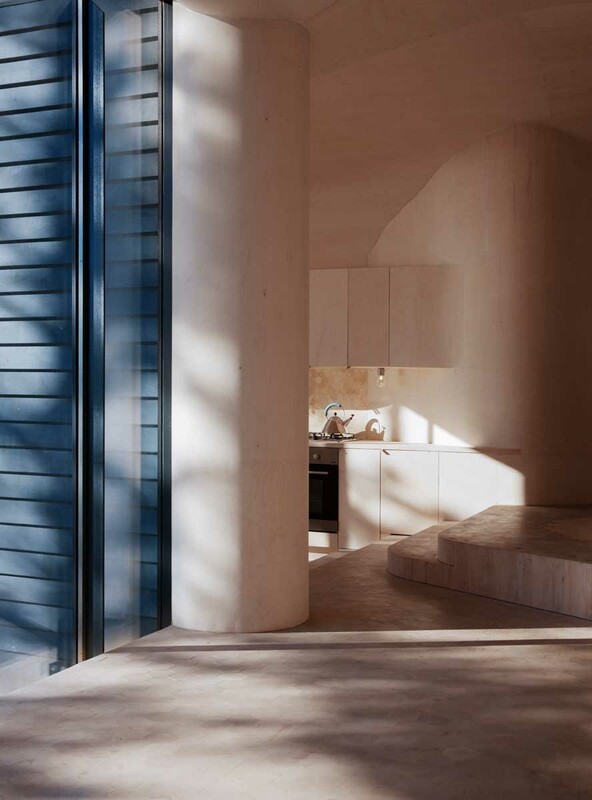 Large glass walls in the living room are carefully detailed so their framing becomes almost invisible, creating a direct relationship with the outside. 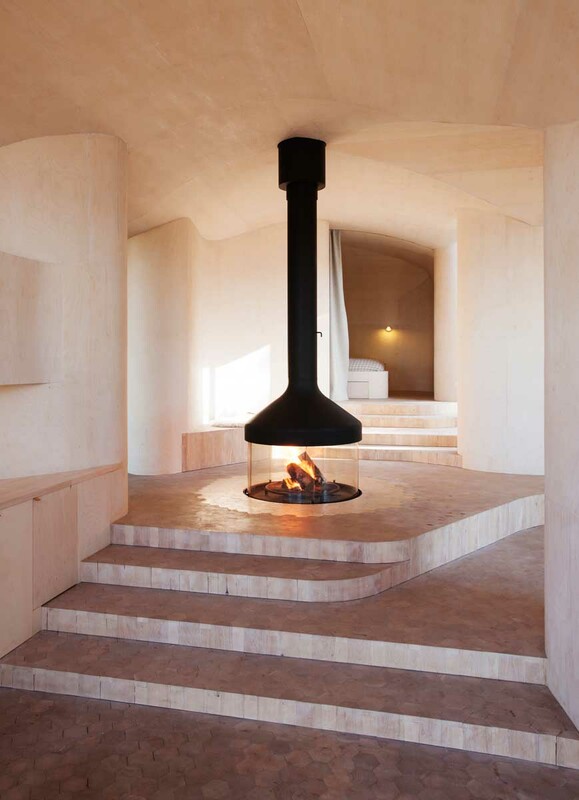 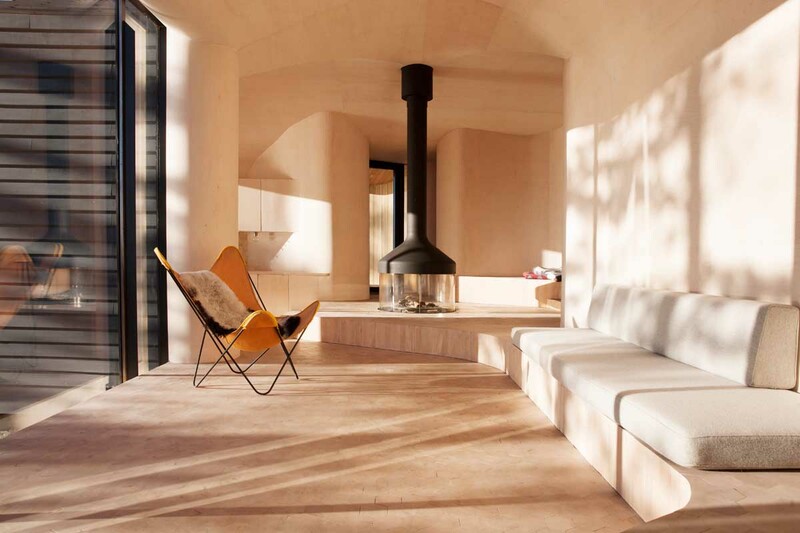 The interior is centred around the fireplace, providing the feeling of a ‘campfire in the landscape’. 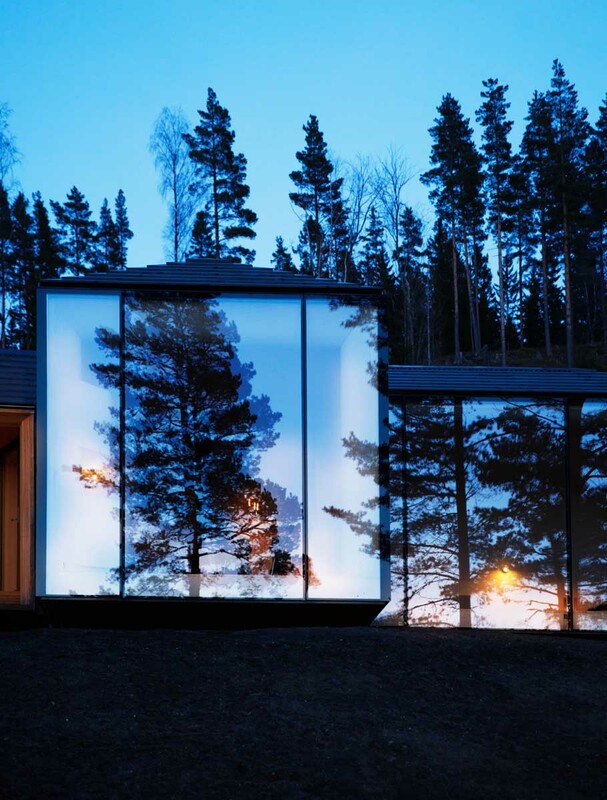 Visible from all points within the house, it signifies shelter from the harsh Norwegian winds.